Creating a new patron record may be carried out at the time of booking. The procedure is simple and user friendly. The need to input the required detail for each user is essential for marketing requires accurate records if only to keep costs down and make mail campaigns meaningful. The use of postcode software together with the built in program checks help to prevent duplicate records. A program to identify and delete duplicate records is available. In the event of last minute bookings provision is made for the use of an inhouse patron number. Each contact may be assigned to a Sales Advisor. Whilst all venues may not require the same user information, the format of each user record has been devised in such a way as to ensure that the requirement of any one facility can be met. An integrated user database is a valuable management tool. It allows you to analyse a wide range of information about your users, and produce reports to help when developing programmes as well as when planning Target Marketing campaigns. Delta’s expertise in Project Management and Consultation, coupled with a FREE Advice Service, allows you to effectively execute income-generating marketing. 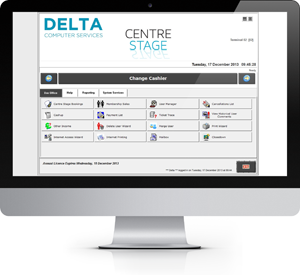 CentreStage allows information management for any type of membership structure. As well as recording details of those customers blah, blah,. These days many people prefer the advantages of spreading the costs of membership fees throughout the year with monthly Direct Debits. After all, budgeting for a smaller amount to come from your bank account each month is a lot easier than finding one large sum, once a year and always at the ‘wrong’ time. Payment by Direct Debit is now the preferred payment method for over 48% of the UK bill paying population because it provides so many advantages. Paying for a membership by monthly Direct Debit either at the theatre or using the online signup allows you to ensure monthly payments are received and non payers contacted swiftly with membership rights frozen until the missed payment has been made. Automatic import of ARUDD (Automated Return of Unpaid Direct Debit) report with immediate suspension or cancellation of the user dependent on the BACS non payment reason. For both single and multi site membership databases suspended users are immediately put on hold at ALL sites. A telephone list, rejection letter email and Point of Sale pop up memo are created to inform the customer of both the reason for the rejection and what they require to do next (if the membership is suspended they need to pay the outstanding monthly payment at the POS, for example). CentreStage will allow you to set up any number of prospective patron/membership categories and these will allow you to offer ‘taster’ patron/memberships for limited periods with, perhaps, reduced booking rights, to users that may be interested in becoming a ‘friend’ but need an incentive. Each contact may be assigned to a Sales Advisor. 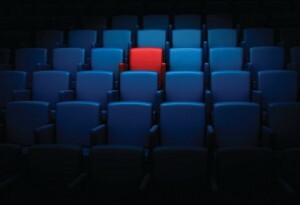 The name and all contact details can be inserted into CentreStage with, perhaps, the user photograph. A temporary membership card can also be issued as part of the registration process if required. Potential members can then be assigned to a Personal Trainer / Team Leader / Sales Advisor and CentreStage would then allow you to record the type of membership that the user is interested in.